Open RAS Console and navigate to Farm > VDI Hosts. Chose the VDI Agent and go to Virtual Guest Settings. 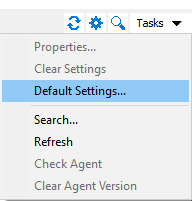 Click Tasks > Default settings. 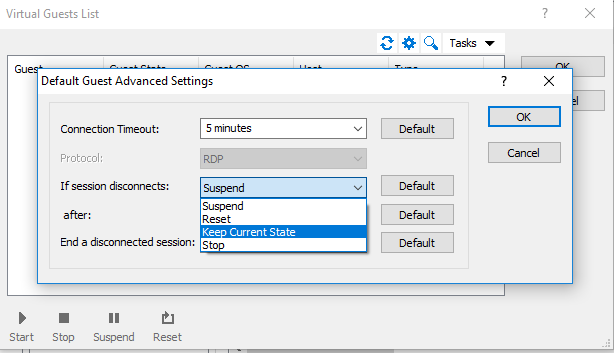 In the If session disconnects list chose Keep Current State option.